Who are the people behind puresilva? puresilva are a small team of developers who have been creating (and continue to update) their own website template. So what do we do? We focus exclusively on developing our website template entitled "puresilva" - this template can be used for both e-commerce and general content managed websites. We also focus on supporting our customers who use our template. We are based in the United Kingdom, and primarily deal with UK based businesses - but have now launched a number of sites for overseas clients based in South Africa, Hong Kong, Thailand, the USA, Australia and New Zealand. 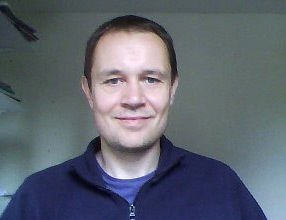 Launched on July 27th 2004 by Andrew Lang under the label of "shoptemplate" (shoptemplate.co.uk), the template was rebranded as puresilva on April 9th 2006 due to expanding features that were non-ecommerce related. 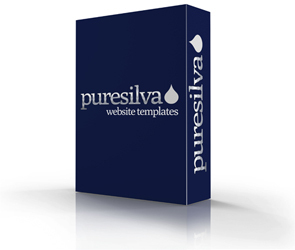 puresilva has become a popular website template now used by many websites - from e-commerce sites to information sites to blogs/community sites. We are a small company focusing on a personal service to our customers while offering an excellent product at fantastic value. We identifed a niche in the website development market - somewhere between the bespoke development market (i.e. making 'handmade', tailored websites) and the free website template services such as osCommerce, Drupal, Joomla etc. Bespoke website design is expensive and risky, and unless you require very specific functionality for your website, complete overkill. Even if you do have a unique set of requirements that no template can offer you, a bespoke website may lack on-page search engine optimization, fail usability tests, or simply be inaccessible to a number of website visitors and even search engines. Even if it "ticks all the boxes", you will inevitably end up paying for updates to the site since it's bespoke - which can easily double your expenditure from your initial outlay over as short a time as 12 months. Just consider how much it would cost to have a responsive, mobile-friendly version of your bespoke site as one example. And how much would you have to pay a website developer to provide all these updates? Our customers didn't have to pay a penny. And the clincher: after your website launches, what kind of marketing help will you receive from your website developers? Do they even have this knowledge, or will you find yourself locating yet another professional and paying for more services (e.g. Search Engine Optimization services)? On the other side, you have website templates such as CubeCart, OsCommerce, Joomla, Drupal etc. We see good and bad in these solutions. An example of the good: open source templates such as OsCommerce have more features than puresilva, such as support for more payment providers. Having said that, these are issues we can easily address in the future (it's just we are customer-led in terms of requests and are not finding these essential at the moment). This isn't to say that puresilva lacks in features (see here for our features list). An example of the bad: we don't see any template solution that truly deals with search engine optimization as puresilva does - covering on-page and off-optimization extensively. There's also no direct connection between developer and customer. Most customers using these templates have paid a web design company to tweak the templates (that they haven't developed) so you can't request a new feature directly to the ACTUAL developer. There's no instant updates on any of these templates like you get with puresilva. Also, we feel ALL of the template providers we tried lack basic usability, particularly in burderning shoppers with registering to buy something and they are far from intuitive in actually setting up in the first place (if you want to do it yourself). puresilva is a complete and ready-to-use website solution, but it is also an on-going project - we like to work with our customers in improving their websites through feature requests and free updates (that everyone benefits from). In this way, all of our customer's websites are "future proof" as they are continually patched with updates. By being customer-led, we had to focus on search engine optimization, and visitor retention features (such as a blog module) because the big questions we were always asked were : how can I get more visitors to my site, how can I make them come back everyday, and how can I convert them to customers? This is an example of focusing on the things that matter, rather than trying to cram in as many features as possible, whether they are useful or not. A website works when people can easily find it, access it, know how to use it intuitively, and understand its message, and want to return back to the site to see what's new. All simple sounding stuff, but actually not that easy to execute. It is our aim to provide this kind of website for our customers via optimal web design - while advising them on their content to make sure the message part of the website is understood. After that, if the business model is good (i.e. a service/product is pitched to a market that demands it), then you will have a successful website making regular sales. There is no secret formula here, just common sense (more details on this paragraph can be found on our 'selling online successfully' article). puresilva will always be a work in progress. It is not perfect now and never will be - as is the nature of anything complex. From time to time we find bugs, and they are quickly ironed out and all websites are patched - these are few and far between however. We also have feature requests all the time, so by that very fact alone, puresilva will always be a work in progress.